The sun was shining brightly that day in Oświęcim; a chilly but blue-skied September afternoon in southern Poland. It would have been beautiful — if it hadn't felt so wrong. The sun isn't supposed to shine at Auschwitz. As I waited uneasily for my tour of Auschwitz I (the main base camp at the Auschwitz complex) in that bright sun, I secretly willed it to go away. Fluffy clouds and saturated colors just felt wrong in a place that holds so much darkness. But shine away it did, and I found myself realizing that, during the 4 years that Auschwitz operated as a concentration and death camp, there would have been many sunny days. Just like this one. It was the first thought of many that day that simultaneously chilled my bones and made me want to cry. An execution wall should not look this bright. And it's true. Imagining what happened at these camps is nearly impossible. How can a person comprehend anything at all while standing in a spot where a million people were murdered for no good reason? It all just seemed unreal. The Room of Hair. The Room of Abandoned Luggage. The Room of Children's Shoes. By the time we got to The Room of Children's Clothing (which also displayed haunting photos of skeletal children at Auschwitz), I knew tears were streaming down my face. And yet I could barely feel them. I could barely feel anything. People often tell you that visiting such a devastatingly dark place makes you feel numb. But I didn't believe it until I experienced it for myself. The lack of logic, sense, or even basic human-ness makes a place like Auschwitz impossible to fully grasp, especially when you are there, staring the reality — and the proof — in the face. As we exited the museum portion of the complex, our guide told us to take a closer look at the mugshot-style photos that lined the walls. Each showed a prisoner in white-and-black-striped clothing, beneath which was a name, the date the person arrived at the camp, and the date they died. Very few of them survived at Auschwitz for more than 9 months. 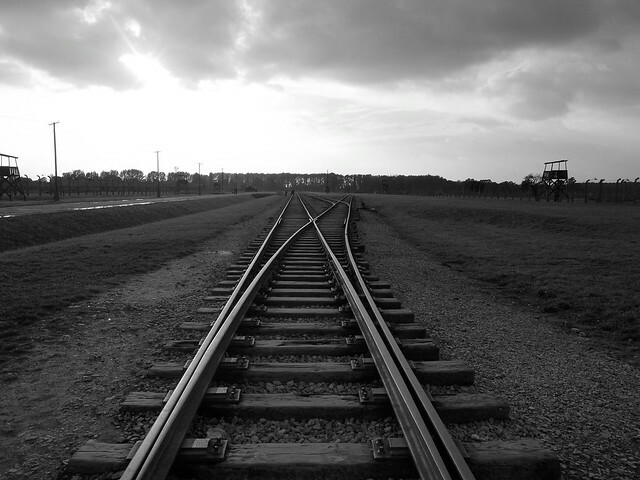 When I took the bus over to Auschwitz II-Birkenau, the numbness continued. As did that infernal sunshine. 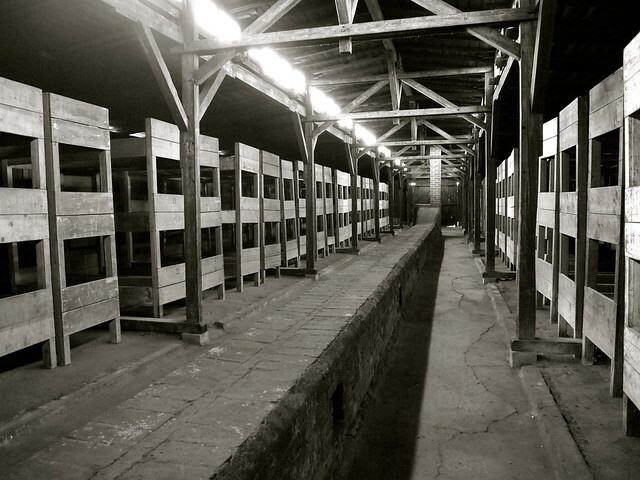 It shone down on me as I visited the barracks-style cabins that the prisoners were piled into. Mocked me as I stood at the end of the railroad tracks where families were rent apart, many headed straight for the gas chambers. 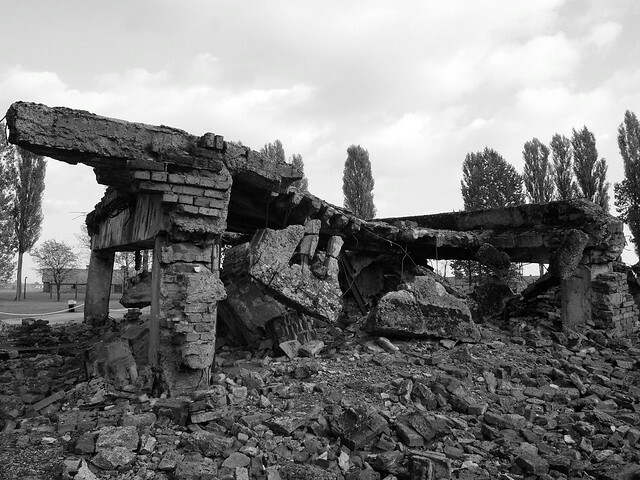 Made me want to cry as I stood staring, soggy-eyed, at the rubble of the massive gas chambers/crematoriums that the Nazis hastily tried to destroy at the end of the war in order to erase evidence of their atrocities. And did nothing to warm me up as we heard stories of Nazi guards telling prisoners to “remember where you put your clothes and shoes so you can find them after your shower” before ushering them into those gas chambers to kill them with Zyklon B, burn their bodies, and dump the ashes into small ponds nearby. In his will, Hitler blamed the whole of WWII — including the Holocaust — on the Jews. On the people he was systematically exterminating. No, there is no logic there; no sense to be made of it. He was a madman who somehow convinced people to follow him. It's crazy, because, in the beginning, the “Final Solution to the Jewish Problem” did not include murdering anybody. Himmler, Hitler's right-hand man when it came to torture and evil ideas, actually suggested deporting all the “undesirables” to Madagascar. Just get them out of Europe. But, somewhere along the way, the plans took a dark turn. It began in 1939 with a program called Aktion T4, which lasted for 2 years and marked the first time in modern history that a government began murdering its own citizens based on what it considered to be genetic inferiority. Aktion T4 focused mostly on mentally ill people in Germany, with doctors “assisting” them in being euthanized. Eventually, though, Hitler turned his sights to gypsies, homosexuals, and especially the Jews. Hitler came to power in January 1933; by June of that year, he passed laws against Jews holding authoritative jobs and going to schools with others. In 1935, the Nuremberg Laws were passed. These were anti-Semitic laws that set curfews and banned relationships between “Aryans” and “non-Aryans.” In 1938 the Night of Broken Glass took place, during which Jewish shops across Germany were ransacked and Jewish families were chased from their homes. And then the concentration camps began. Followed not long after by the death camps like Auschwitz. Auschwitz was actually a complex of 3 separate camps — Auschwitz I (the base camp), Auschwitz II-Birkenau (the extermination camp), and Auschwitz III- Monowitz (a labor camp). 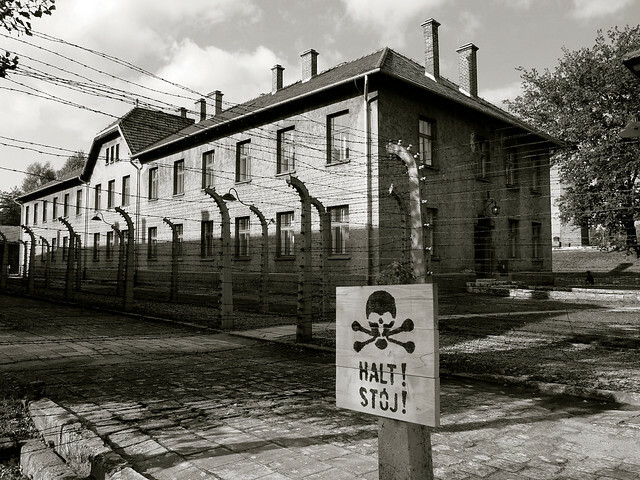 Auschwitz I began operation in 1940, with Auschwitz II following the next year. It is this second camp that most people are familiar with. We all learned about the Holocaust in grade school. We read Anne Frank's diary and Elie Wiesel's “Night.” We heard tales of Hitler and the SS and the horrors that took place at concentration camps across Europe. But when you are actually standing there, in front of ruined gas chambers that took the lives of roughly ONE MILLION people? That is not something you can learn from a textbook, or comprehend when you are hearing about it from half a world away. 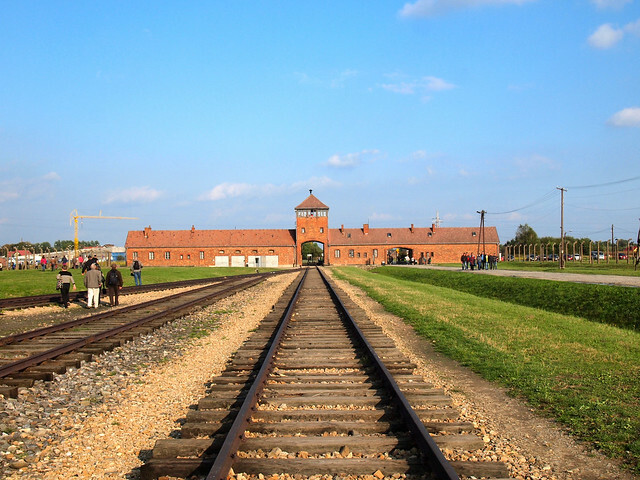 Visiting a place like Auschwitz is not a pleasant experience. I can totally understand those people who will likely never visit a concentration camp because of how depressing they are. BUT, I also feel that visiting places like this — facing the reality of them — is important. It helps us recognize the cruelty inherent in the human race. And hopefully helps us understand how important it is to never let something like this happen again. 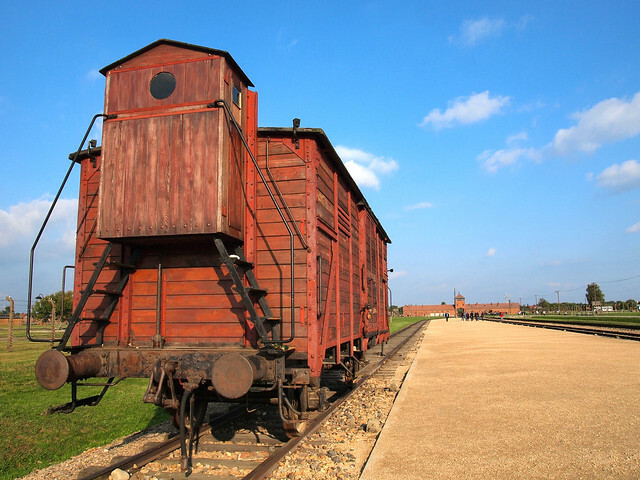 Today, Auschwitz is a listed UNESCO World Heritage Site and also a museum. Visiting the site is meant to be educational, and I highly recommend it if you find yourself in the area. Getting there — Auschwitz is located on the outskirts of Oświęcim. It can be reached via train and then bus (or you can always hire a driver from a nearby larger city like Krakow). In between the 2 parts of the camp that visitors can see (Auschwitz I and Auschwitz II-Birkenau) a free shuttle bus runs every 15 minutes or so. Pricing — For any language that isn't Polish, guided tours of the whole site (Auschwitz I and Auschwitz II-Birkenau) run 40 PLN ($13.15 USD) for regular tickets and 30 PLN ($10 USD) for students. There is also a 4 PLN ($1.30) fee for headset rental, which is required for the guided tours of Auschwitz I. Take your time — It's recommended to allow at least 3-4 hours at Auschwitz (at least 90 minutes apiece for the guided tour of Auschwitz I and visiting Auschwitz II-Birkenau). 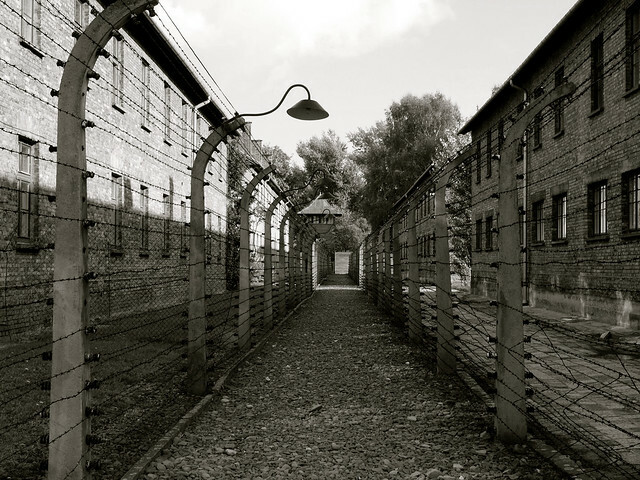 Would you ever visit a “dark” place like Auschwitz? 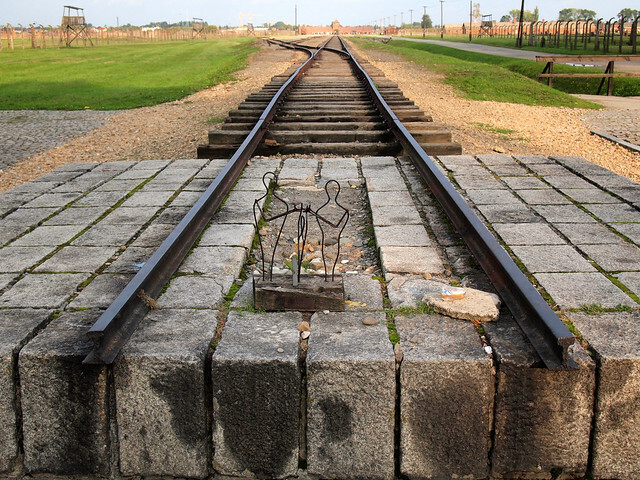 *Thanks to Krakow Tourism, who set up my visit to Auschwitz. Yes, I would definitely like to visit Auschwitz and other dark places like it one day. 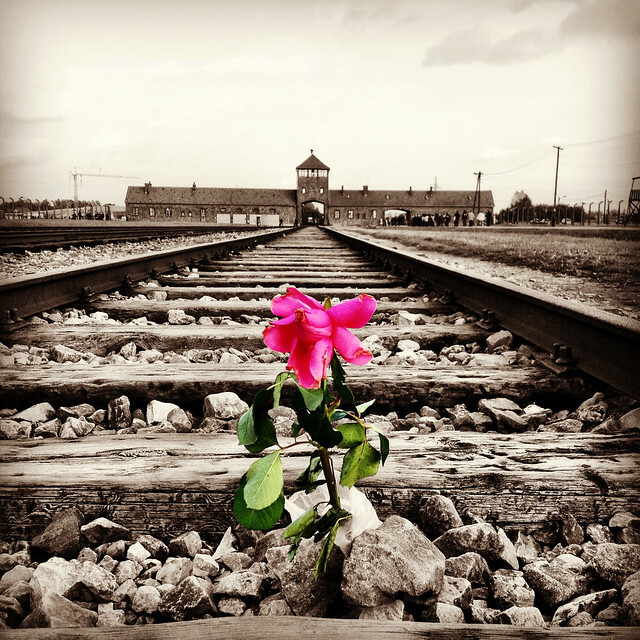 As horrific as it is to read accounts of survivors, watch videos showing live footage or even touring a place like the US Holocaust Museum in DC, I’m sure nothing can prepare you for the magnitude of seeing a place like Auschwitz in person. Very well written considering the subject. No, nothing can prepare you to actually go to a place like this. And believe me, I know – I nearly wrote my master’s thesis on “dark tourism” and therefore did a lot of research on Auschwitz and places like it. But none of that helped; being there is so different than just reading about it, or hearing accounts about it from afar. I just couldn’t imagine… Seeing the pictures are breaking my heart. I would believe I’d feel numb and angry at humanity at that period of time. I’m sure it left you with a really big purpose inside. It definitely was a very moving experience. Broke my heart, too. Very well-written post about a very dark place and time in history. We visited the Holocaust Memorial Museum in Washington D.C. and it was difficult – I found it overwhelming. But I agree in that everyone needs to be reminded. I haven’t visited a concentration camp but it’s so moving and difficult to visit other holocaust museums and memorials that I’m sure Auschwitz is so much more so. You’ve done a good job conveying the mood there. Thanks, Laura. It’s always tough to translate an experience like this into words. But I’m glad you and others feel like I did a good job! I was at Dachau years ago and found it to be overwhelmingly sad. I also visited Yad Vashem when I was in Israel a last year and had tears in my eyes throughout the museum. The fact that all these murderous acts were photographed and videotaped is truly unbelievable. It’s so hard to imagine that something like this could actually happen… As hard as it is to visit sites like this, I think it’s important and very worthwhile. I think it’s really important, too. We of course can’t even come close to understanding what it would have been like to be in one of these places… but by visiting, we are at least able to learn a little more, and perhaps become a little more compassionate. I disagree somewhat with what your Berlin guide said: one of the best ways to defeat evil is in fact to understand the ways of evil, be vigilant of those ways, and educate and warn others of evil. Understanding evil is not the same as being a willing participant. Willful ignorance in the face of evil is irresponsible and opens the door to a very slippery slope to reliving the past; as a species, we’re terribly good at making the same mistakes. Thank you for your post, Amanda. I totally agree with you, Henry. I think what the guide meant, though, was that, for most people, trying to make *sense* of what Hitler believed is impossible. Yes, we can understand his beliefs and how he convinced people to follow him (as well as the conditions that allowed him to come to power). But its the why that is much tougher to make sense of – simply because it doesn’t MAKE sense to most sane people with a conscience. 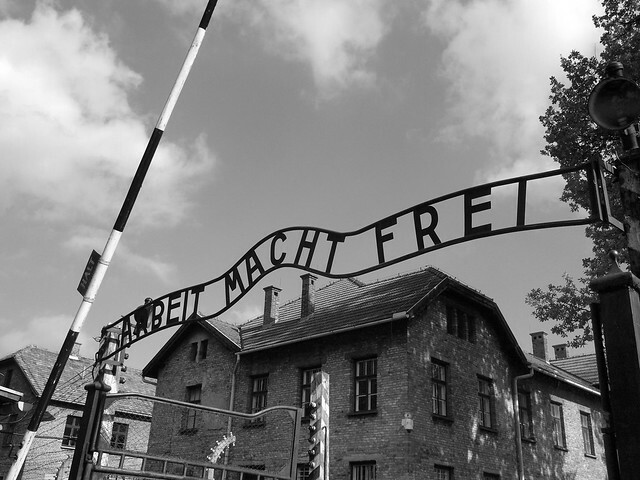 I went to Auschwitz when I was 15 and I will never forget it. Your descriptions reminded me of when I was there and the birds were chirping and the sky was a crisp blue, the trees swaying gentle in the wind. And it just didn’t ‘fit’. Such a hard place to describe. Great post in conveying a difficult place to come to terms with. Thanks, Becki. It definitely IS a tough place to describe. I worked on this post for weeks. I think it’s important to visit dark places like this to be able to understand the atrocities that took place. I visited Sachsenhausen in the dead of winter – it definitely adds to the eerie feeling when there’s no one else on the grounds and the wind is howling. Oh I’ll bet. It was really weird to be at Auschwitz on a nice sunny day. I went to Auschwitz about ten years ago and I am still haunted by it, especially what you refer to as the Rooms, but I am glad I went. It’s still impossible to properly understand it (and I like the advice your Berlin guide gave) but I feel like it’s important to at least try, and being there physically is probably the best way to do that. Beautiful post about an insane place. Yes, you’ve summed it up perfectly – it’s impossible to understand, but still really important to try. If only for the sake of those millions of people who lost their lives so senselessly in places like this. Thanks so much for reading. This is such a dark, chilling and superbly written post. I’ve never been to Auschwitz but reading your article reminded me of my visit to the Tuol Sleng museum in Phnom Penh, Cambodia. The site used to be a security prison, where more than 17,000 people were detained and tortured between 1975 and 1978 before being taken to an extermination camp just outside of the city. 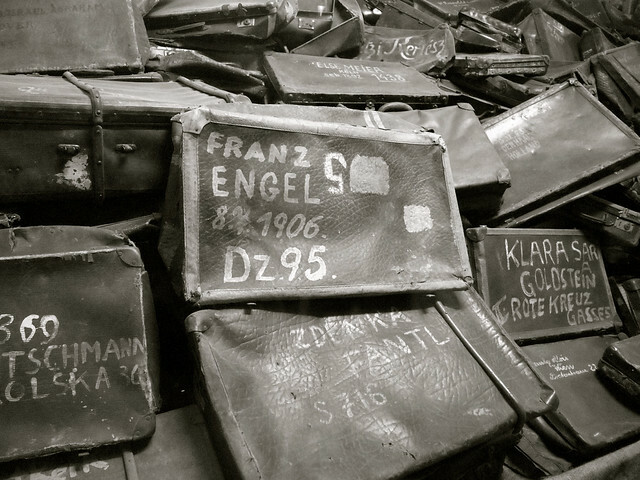 Just as you describe at Auschwitz, there were photographs of all those held and tortured there. There was also torture equipment in the stark, empty rooms, and blood stains across the floors and walls, which I assume was so ingrained in that it could never be properly washed out. Difficult, heart-rending facts to believe but important all the same. That sounds very chilling, too. I’ll be visiting both Tuol Sleng and the Killing Fields in February, and I know both are going to be really hard to visit, just like Auschwitz was. I also have been to the Holocaust Museum in DC. Tickets can quickly go for the day. 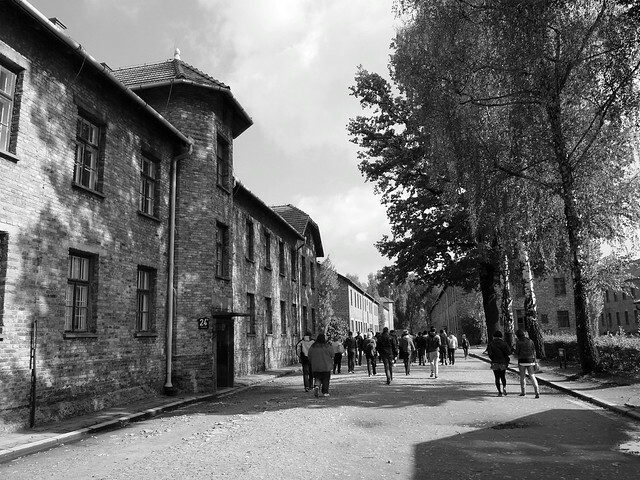 Touring a concentration camp during the winter–that is eerie! I need to go to that museum one of these days. Though, after museums in Europe and then Auschwitz, I’ve probably had enough dark experiences related to the Holocaust to last me a lifetime. The visit was indeed heartbreaking. I’d be more than willing to see it again, though. I honestly don’t know if I could go through it a second time. Though I would probably visit another camp, just to see the comparison. I was offered a trip to Dachau when I went to Munich, last year, and I didn’t take the opportunity, but this summer whilst travelling, Auschwitz was part of our trip and I went. Our group had a girl who’s grandparents had been in Auschwitz and she was travelling with friends, and of course it is as horrific as you say. Once we got to the Room of the Hair I was a mess- our guide actually took us outside for a break after that as so many of us were in a mess. I am glad I went, and I think if people have the chance they should go. BUT. I wouldn’t go again, I don’t want to go to another one. It hurt too much. I slept all the way to Krakow after that. It is such an emotionally draining place. I don’t think I would ever go again either, but I’m glad I went this time. I changed my college major to history after I saw Schindler’s List. What Hitler and the Nazis did is morbidly fascinating and I wanted to understand how this horrible thing happened. A trip to Auschwitz has been on my list since then, but I got the chance to visit Dachau first. I went last December and the weather was “appropriate” where yours was not. It was cold, wet, and gray that day and I wandered around the grounds with tears in my eyes. Definitely a worthy yet emotionally draining experience. I have a fascination with everything related to WWII and that period of history, too. Like you, I find the Third Reich morbidly fascinating and never skip a chance to learn a bit more about it. Hence why Auschwitz was a must-visit for me. It was so sad, yet so worth it. wow! very well written! The camps were a place I wanted to get to but never got to. Reading your article makes me really want to go! its horrifying and sad but I want to feel that to try and understand “the evil” as such. I bet it really makes you appreciate the life you have! Visiting a place like this certainly does make you count your blessings. I am originally from Poland and I’ve been to Auschwitz several times. I think everybody should see it – once. The stories are incredible and the museum makes you get the goosebumps. I agree with you – it’s definitely a place everyone should visit at least once if they can. I remember watching the movie in high school. It did seem to be dark and gloomy because it was in black and white. I would love to pay my respects to all those who died for no reason if I am ever in the area. Your article was well written and must have been hard to write! It was sure not easy to write, Angela. But thanks for the compliments. I have not been to Auschwitz yet but I am sure I will go one day. I am drawn to places like this for some reason. It may be a bit morbid going to memorials but I feel like I am honouring all those that were murdered and mistreated by doing so. I also want to understand why and how it happened, but as you said, this isn’t possible. A beautifully and poignantly written piece, complimented by excellent photos. Thank you. Some people might think it’s morbid – but I totally understand where you’re coming from. I’m the same way. I’ve wanted to go all of my life. I’m now age 62 and time is limited. What’s the easiest and cheapest way to get there from New York? You should do it! You can fly from New York to Krakow (usually with a stop somewhere in Germany) and then book a tour to Auschwitz from there. Obviously the prices would depend on the time of year you’re going, with winter being the cheapest and summer probably being the most expensive. Thanks so much, Amanda! I love following all of your travel spots, but this one in particular was very important to me. In Belgian we have the Fortress of Breendonk. I’ve thought of visiting often, but I haven’t been yet. Somehow it feels wrong to do this as a day trip in the weekend. It feels like it should get a special planning or something. Have you ever been to the Jewish Museum in Berlin? I’m sure it’s nothing in comparison with Auschwitz, but it sure made me quiet. I’ll be visiting the Anne Frank House in Amsterdam on Wednesday. One thing is sure: we have to keep writing about this. People have to remember that this can never happen again. I did not go to the Jewish Museum in Berlin, but I did visit the free museum beneath the Holocaust memorial. It was a really sobering place, too. But nothing compared to actually visiting Auschwitz. I agree with you, though – we really do have to keep writing about these places! Fantastic entry… Reading this brings back some strong memories. I haven’t been to Auschwitz, but I’ve been to Dachau and Neuengamme. Even going the second time, to Neuengamme, it doesn’t get any easier. The camps just feel otherwordly and wrong. And the numbness and silence that just hangs over the places is intense. I don’t think I’ll ever go to another camp like this. I know it would never get easier or make any more sense. 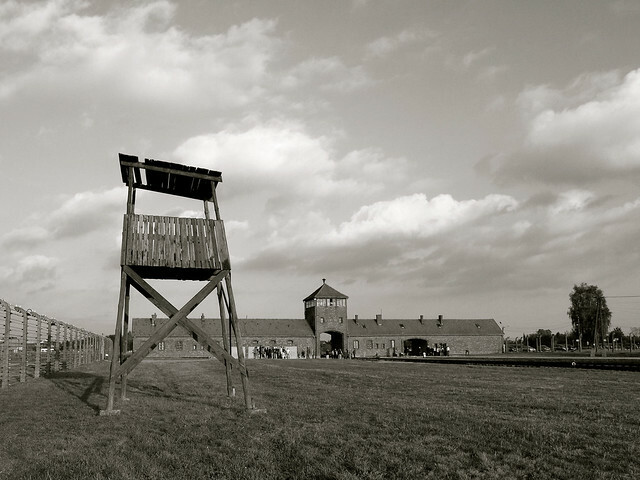 I AM glad I went to Auschwitz, though – it’s important to come face-to-face with places like this. I posted earlier on this. 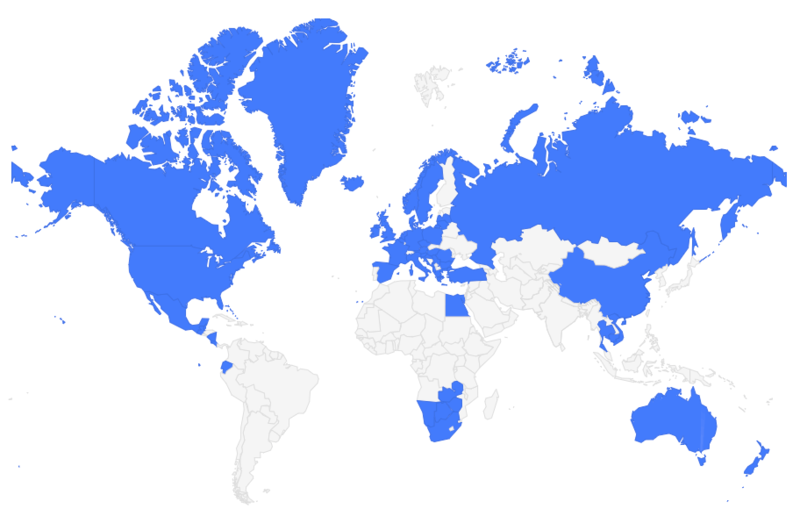 If I were to arrange a trip to Auschwitz, what are some other major attractions to not miss in a short trip (~ 2 weeks max) to eastern europe in this vicinity? I presume Berlin, Warsaw, Prague? Haven’t read all of your posts but of the ones I’ve seen recently, you have the exact low down on travel I need. Thanks! There’s a LOT to see in this part of Europe – I wouldn’t recommend stuffing it all into 2 weeks, though! I would suggest Krakow (the closest city to Auschwitz and the top destination in Poland), a trip to the salt mines, Warsaw, and perhaps one other city. That city could be Berlin or Prague, or you could go somewhere else in Poland. Gdansk is also supposed to be lovely. Appreciate your advice, as always! I want to visit Auschwitz. I think its one of those places everyone should try and visit. We have to learn from the mistakes of the past so that we dont repeat them. Sadly memorials seem to be the only way to do that. I visited the Holocaust Museum in Dallas. When you walk into the museum that have these pillars that show how many people had died and its so hard to fathom how anyone could do that to their fellow man. It’s a very difficult place to visit, but I agree that it’s important to go if you can. You really don’t understand the full extent of what happened to these people until you are there, seeing evidence of it first-hand. Thank you for your post. I’m visiting krakow and will be traveling alone. I am considering visiting and wondered if you have any advice on taking a private tour vs visiting alone. Thank you. Hey Kennedy! I assume you mean visiting Auschwitz on your own or on a tour? I went on my own. You actually HAVE to take a group tour through the first part of the Auschwitz site, though, so you’ll just be put in a group once you get there. It’s definitely worth seeing. I’m sure you could book a group or private tour from Krakow, though, too, if you would prefer that. But you definitely don’t need to. I went to the Dachau camp when I was fourteen. I had family who were there. I have seen Schindler’s List and could never watch again. It is too painful for me. I agree we need these movies and places to make sure humanity never forgets, but I know personally I never will and don’t revisit something if it hurts my heart that much. I say that, but I might not be able to pass up a chance to visit if I ever go to Poland. I have family there and hope to visit the country one day. I am scared and it is painful to think about. It is painful just reading your post, but you did a good job. 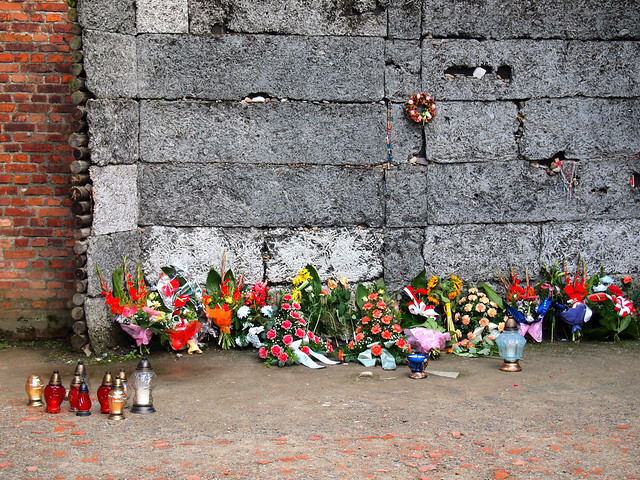 Concentration camps are incredibly difficult to visit. 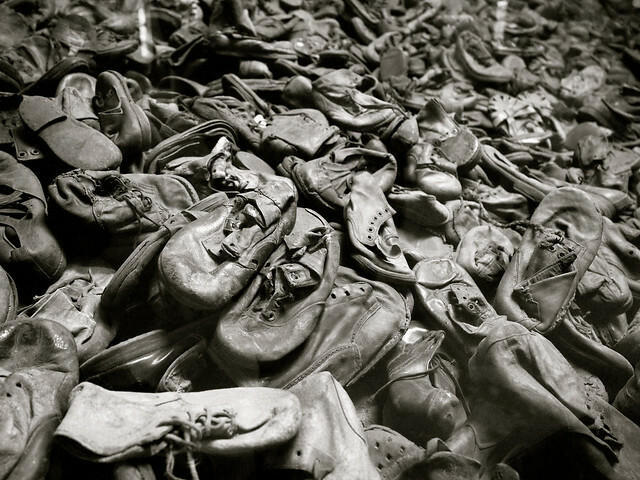 I know I would probably never go to Auschwitz again – once was necessary, but also enough. Just came across this article from your Facebook post…the one about the anniversary of liberation for this camp. Thank you for sharing your experience, I almost feel as though I have been there myself. I am planning to go there this year, and being Polish myself I expect it will be one of the most overwhelming experiences of my life, but one I feel needs to be had. I’m glad you found this post, Jenna – it was a very difficult one to write, but it’s one of the pieces I’m most proud of on my site. It definitely WILL be overwhelming when you visit, but I agree that you definitely should go at least once if you’re able to. this is an excellent blog. I’m going here this fall, and I’ve visited two other concentration camps in Germany. 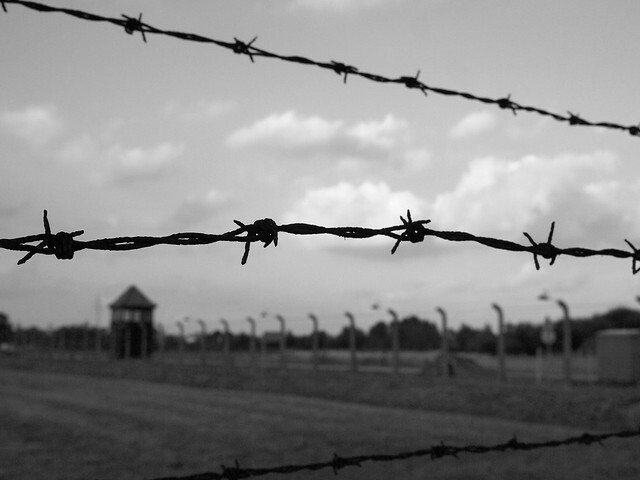 The one outside Berlin shook me to my core, so I can only imagine what Auschwitz is like. And you’re right…it shouldn’t be sunny. At all. All I can say is… bring some tissues with you. It’s an incredibly sad and moving place. Heavy, heavy read. I chose not to visit when I had the chance but I likely will next time I find myself in that part of the world. The Holocaust Museum in D.C. was quite the experience in itself and is a must-see (if you asks me) when in the District. Great pics, too. Cheers. It’s a very heavy place to visit, for sure. But, in the end, I’m glad I went. I went last night to watch Rose, by Martin Sherman, I still cannot cope, something I discovered 35 years ago when I visited Yad Vashem. I would only visit Auschwitz if I had so much messed up my daughter’s education that I needed to show her the real thing. That’s very fair – it’s an incredibly difficult place to visit, and certainly not for everyone! Hey Amanda! Thank you for posting about this! I loved how you described your experience. I had a similar experience in 2014 when I visited Poland for the first time. Such an emotional roller coaster and life-changing experience! An emotional roller coaster is exactly the phrase to describe it! For those who feel that they would like to see Auschwitz or perhaps re-visit it there are some amazing You Tube Videos. This one is about a lady, Kitty Hart-Moxon, who was imprisoned there at age 17 and returns in 2015. https://www.youtube.com/watch?v=rD3ofEszi0Y. Chilling but interesting to hear a first-hand report, presented in an objective way. ..it was for the usual reasons, hate, greed, lust for money, control and power..that have driven humans, wars, conflict, forever. My grandmother was a prisoner in auschwitz but thank G-d managed to survive while most of her family perished. I remember tracing the numbers on her arm as a young child and learning about the horrors that it was testament to as I got older. Being a Jew, the holocaust is but one part of our long history that includes much senseless persecution. I don’t know that I will ever be able to bring myself to visit auschwitz, however, I am proud to look at my history and see how my people time and again managed not to not only survive but thrive despite what we’ve endured. My grandmother was fortunate to greet over 150 descendants of hers including 6 great great grandchildren which to me is the biggest victory over the nazis. Thank you for your article and the awareness you bring to the world. I agree – surviving to see such a family grow is the biggest victory!